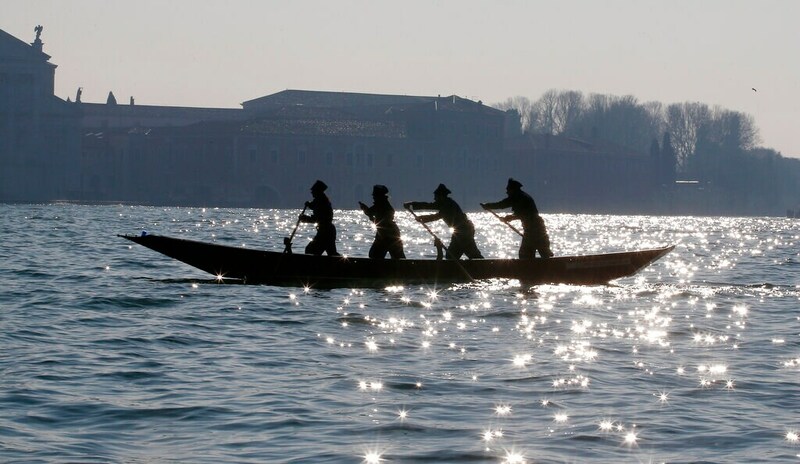 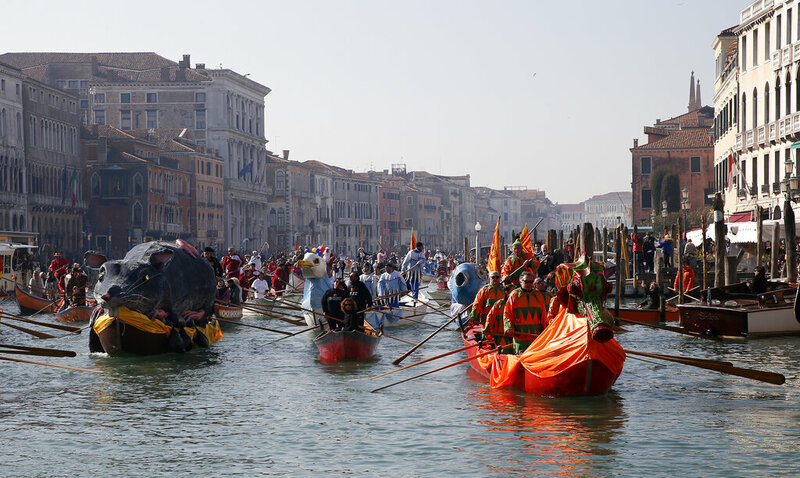 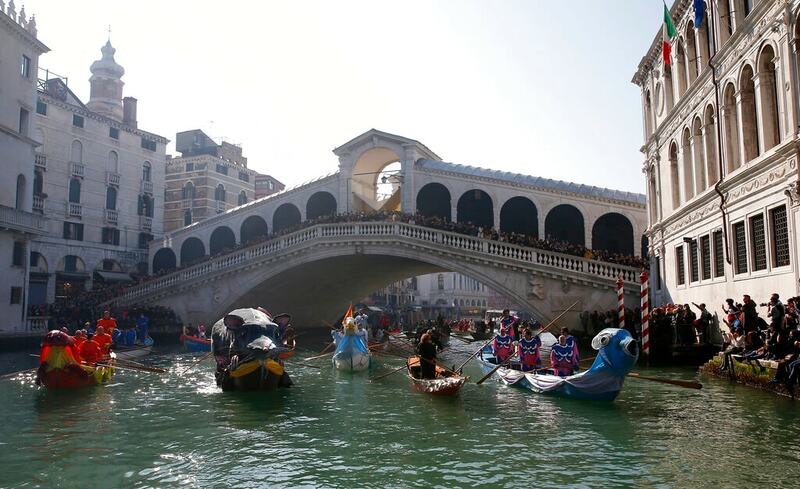 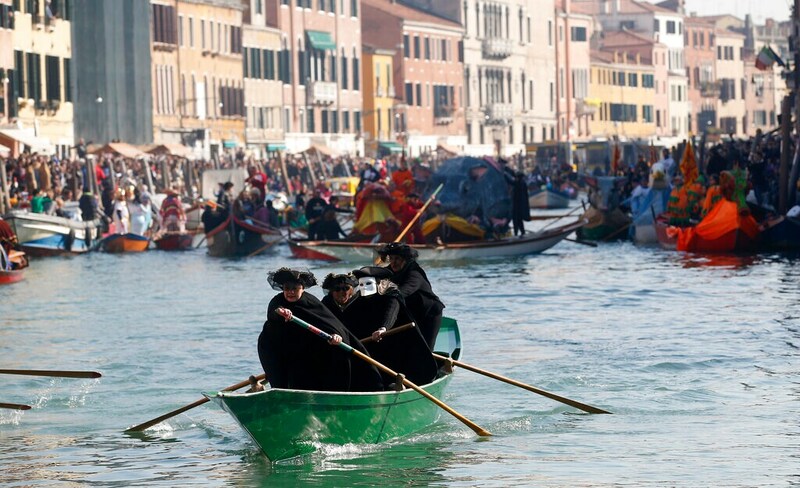 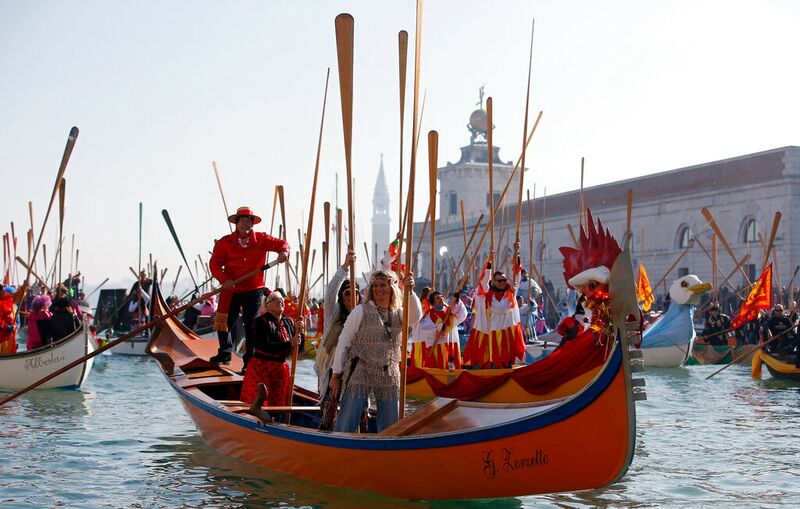 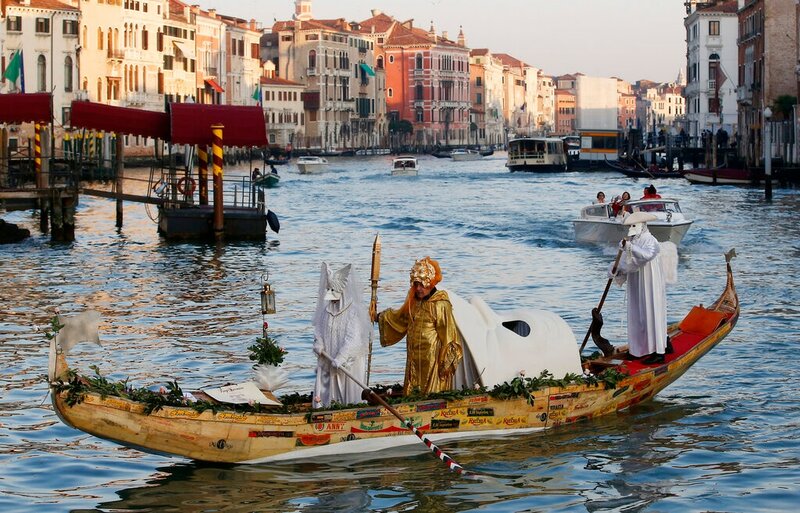 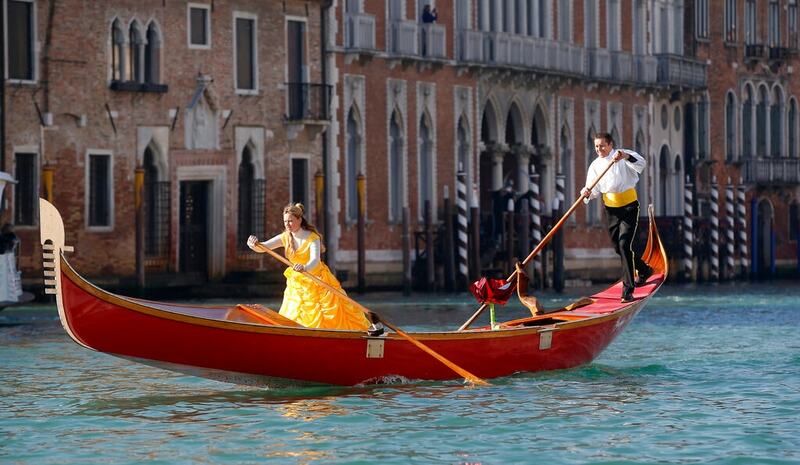 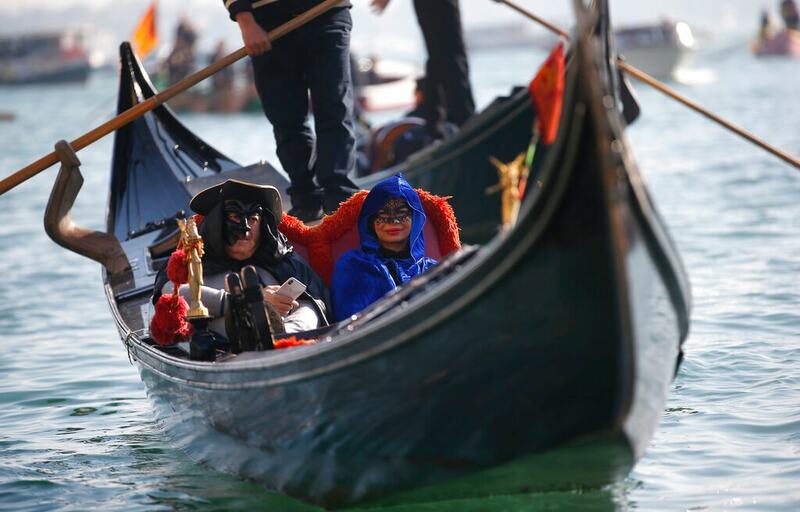 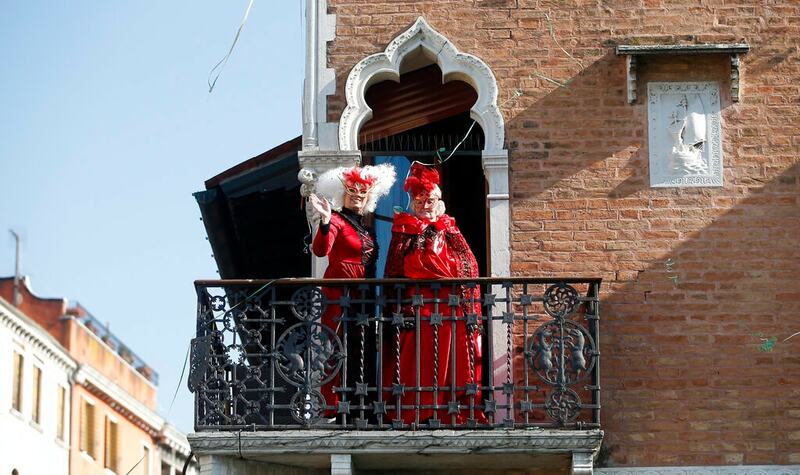 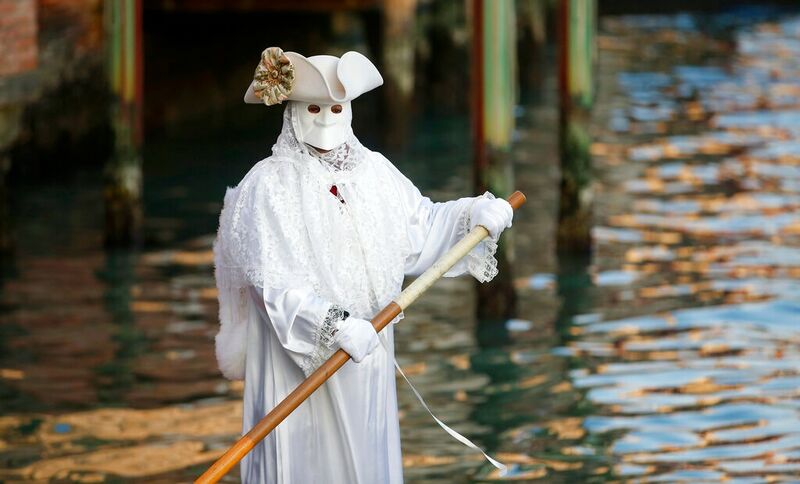 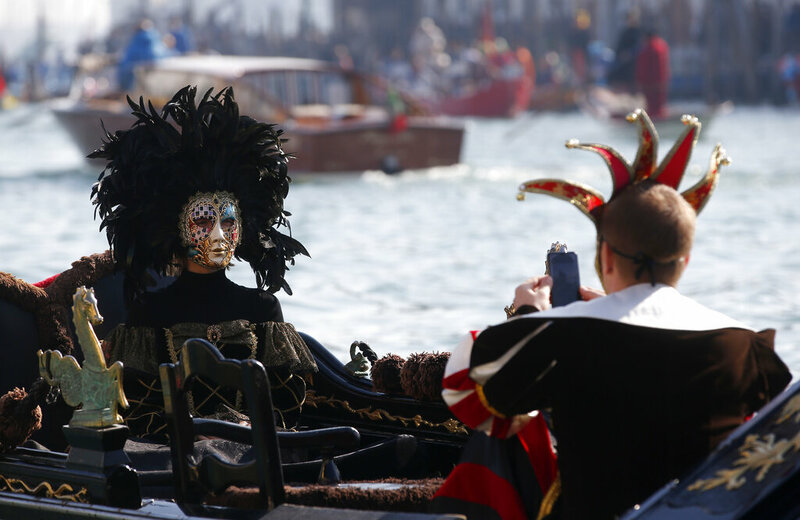 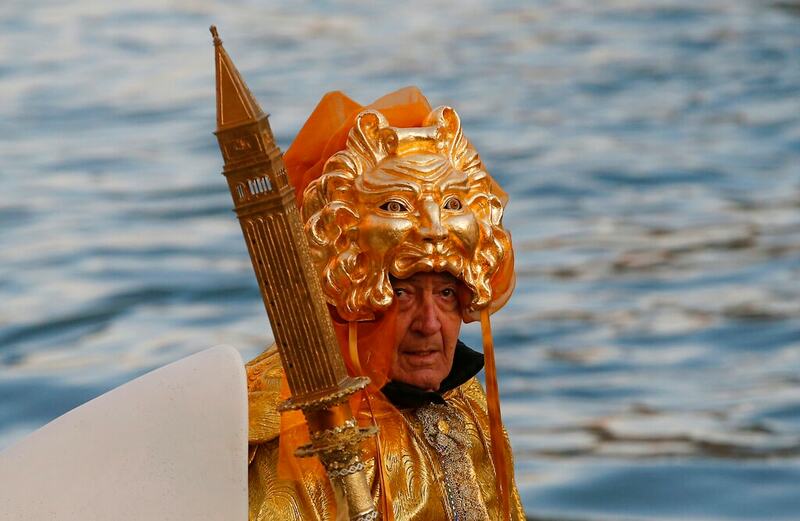 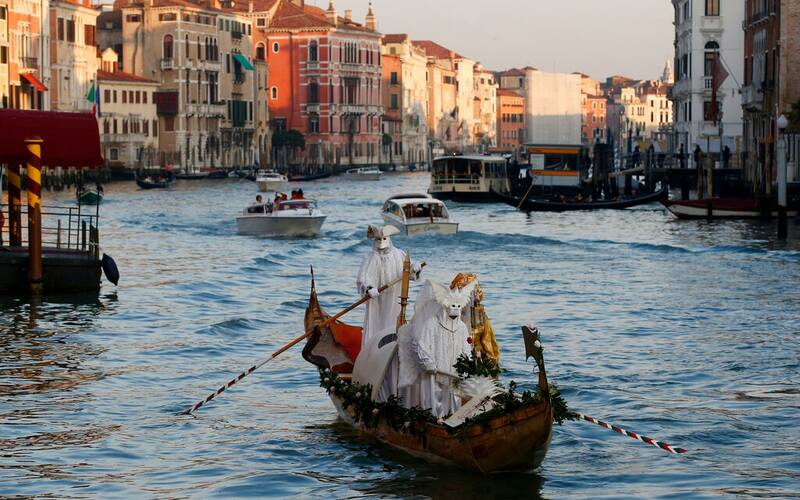 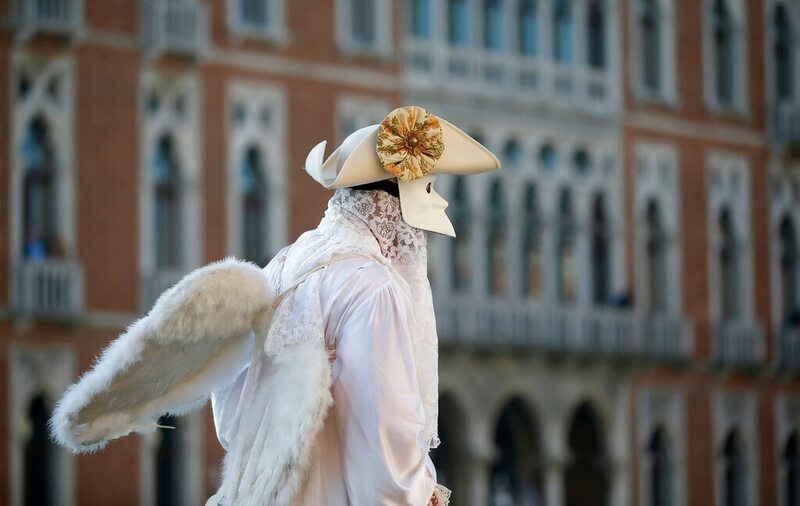 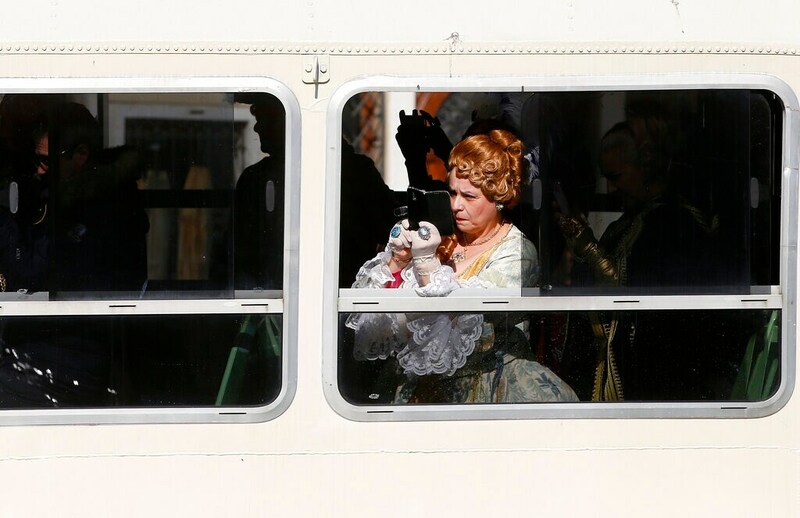 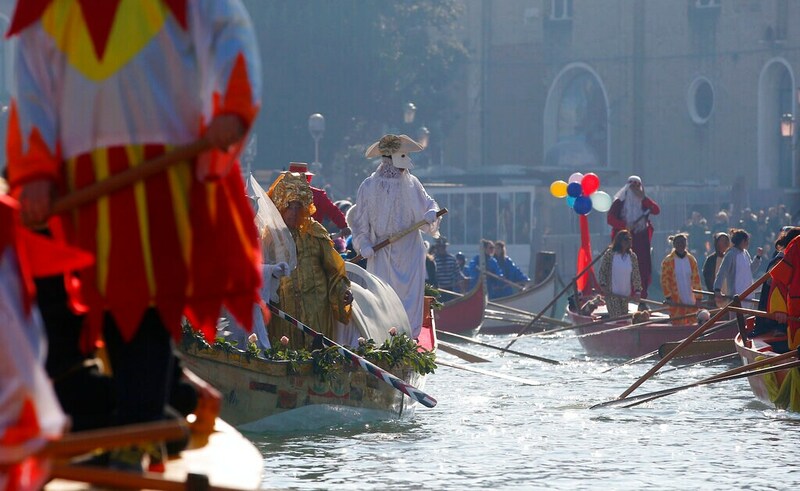 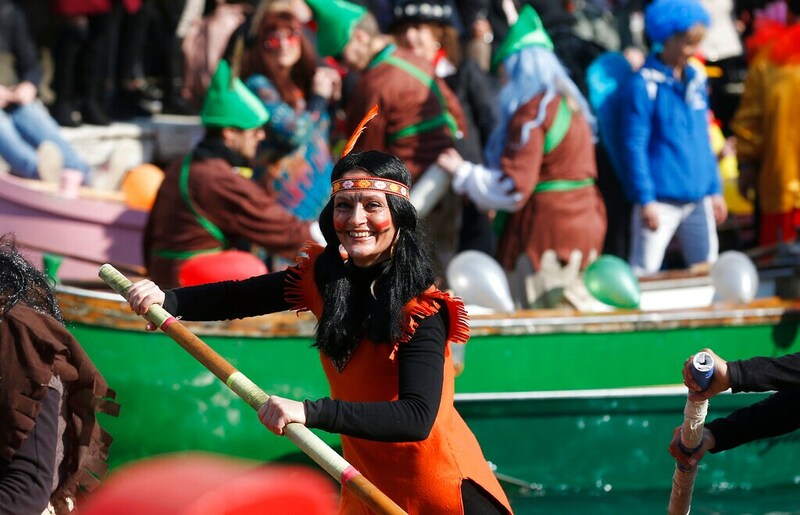 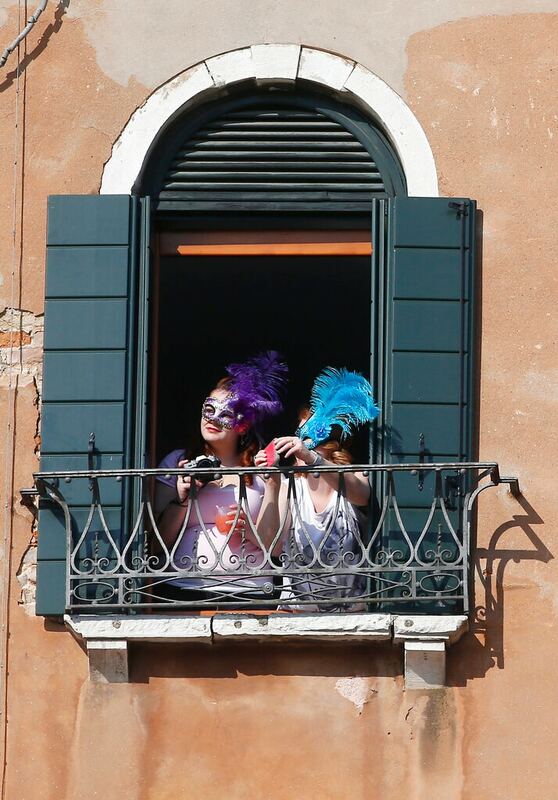 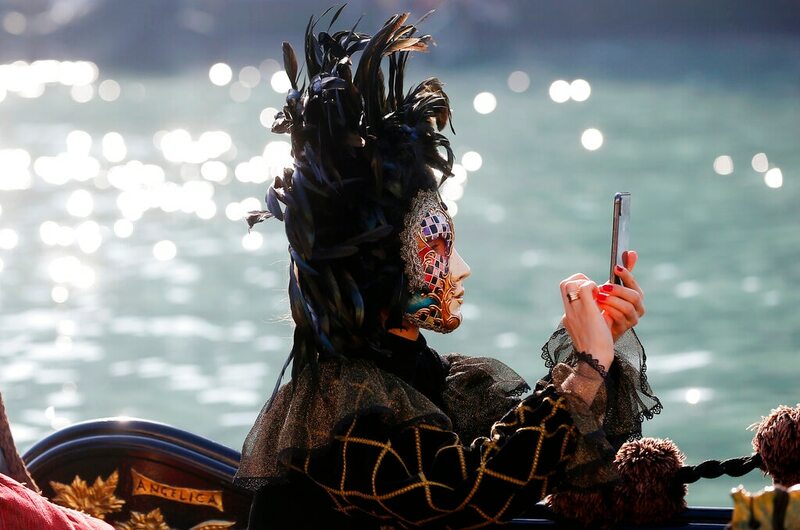 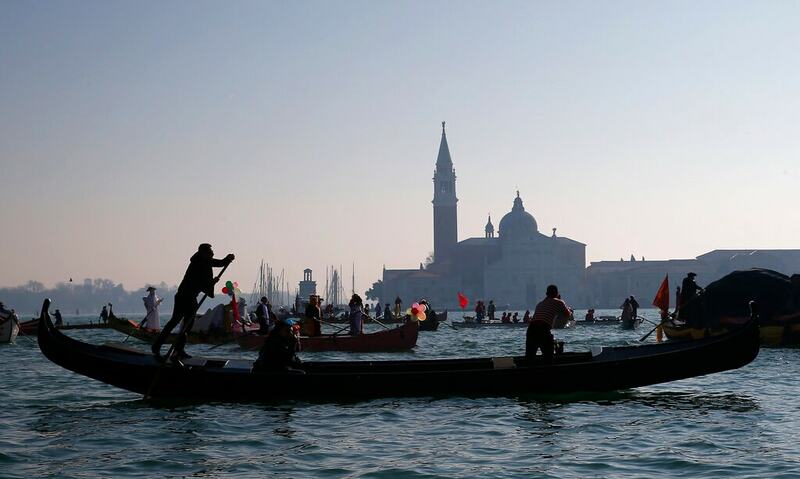 The Italian city of Venice kicked off its carnival season with the traditional opening of a water parade in the Cannaregio Canal and will continue till the weeks leading up to the Roman Catholic period of Lent. 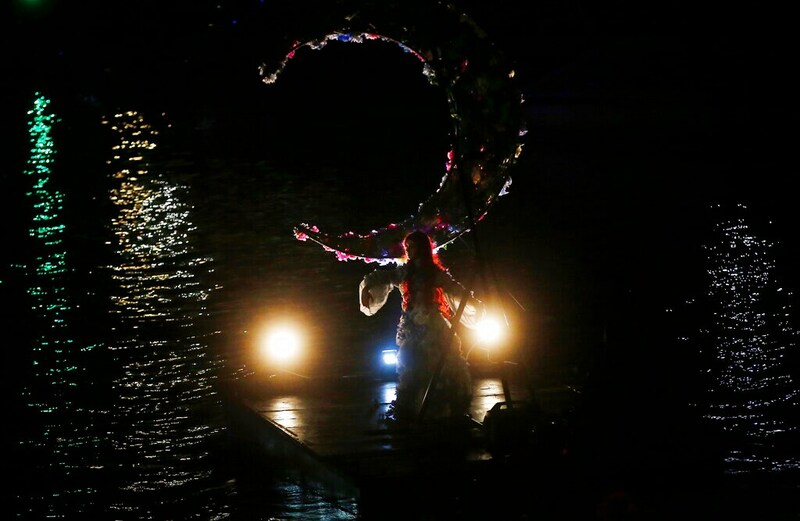 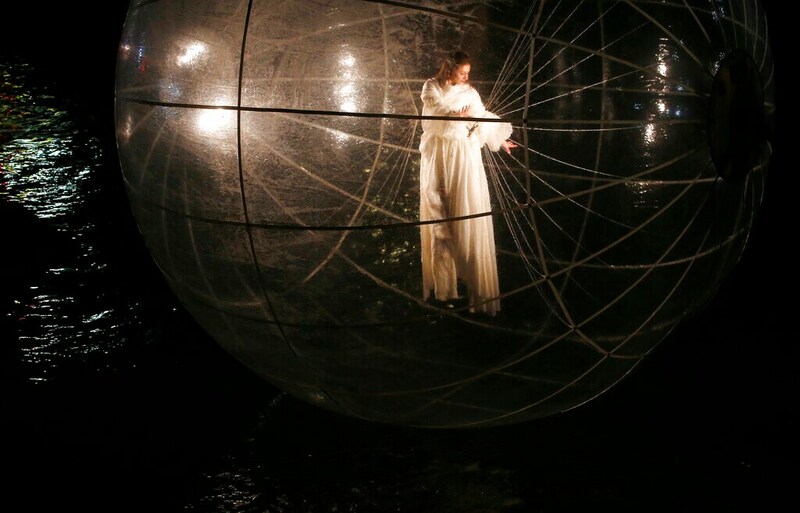 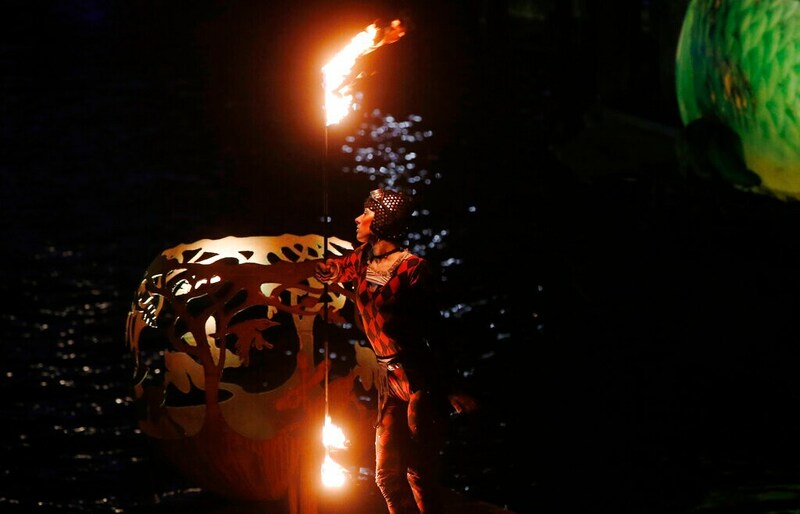 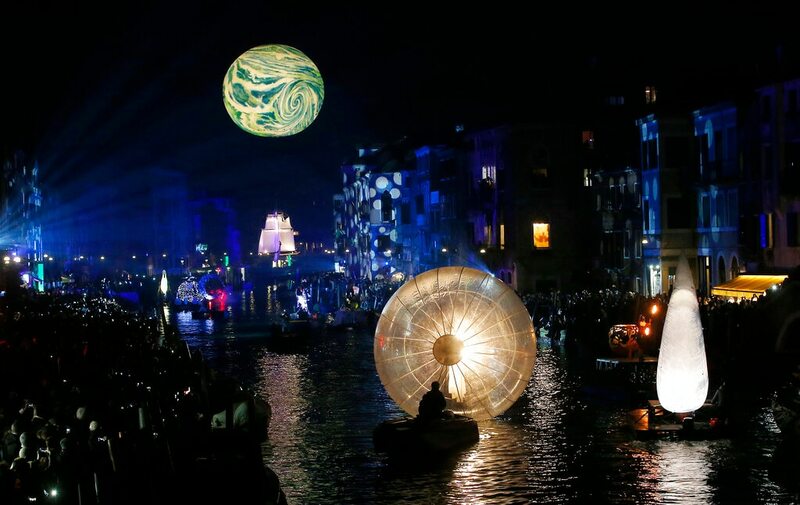 The moon-themed floating parade started on February 16 and will continue till March 5 which will see a variety of acrobatics, dances and fire performances onboard small boats and rafts. 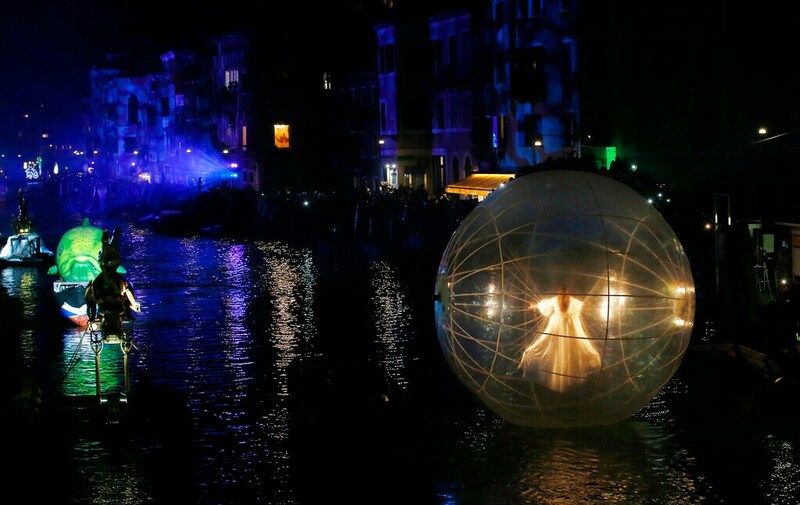 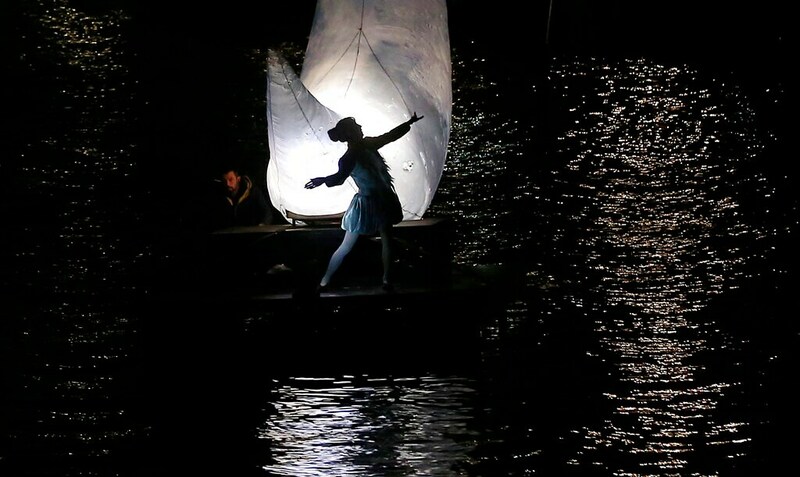 The parade showcased a story of a journey from Venice to the moon, paying homage to dreamers and travelers over the world. 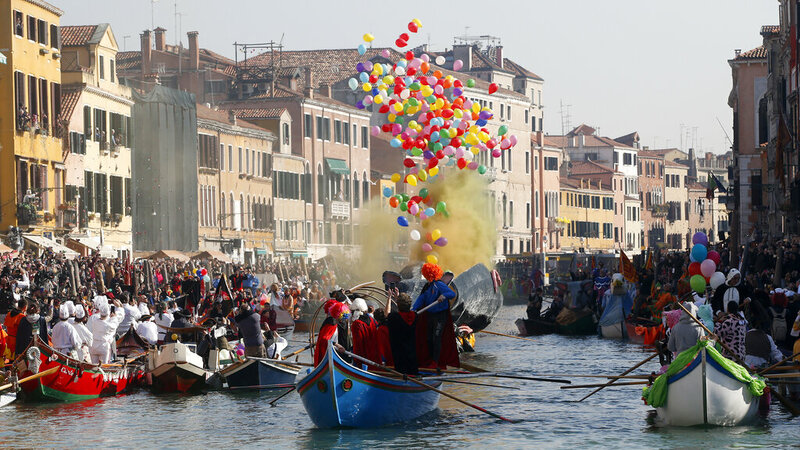 The opening ceremony saw a large moon balloon carrying a caravel, a small sailing ship dating back to the 15th century.